Most people have to deal with painful and unpleasant cold sores at least once during their lifetime. About 80 percent of the population carries the virus responsible for cold sores, and although the virus usually stays dormant, it can flare up when your immune system is weakened. It’s common for a cold sore to develop as you recover from a sickness or if you have a vitamin deficiency, and they can sometimes take weeks to fade. Over-the-counter topical medicines can help speed up the healing process and relieve pain, and doctors can prescribe anesthetic gels for cold sores that are exceptionally painful or long-lasting. Some people also try antiviral medicines, but all of these treatments can be expensive and can cause adverse effects. For these reasons, many people turn to essential oils to treat their cold sores. Why are essential oils good for cold sores? Essential oils have a wide variety of health benefits for the mind and the body, and they are great for keeping cold sores or other injuries clean. Most work very quickly, bringing about noticeable results in just a few days, and they can be used more frequently than medicines. They’re a natural alternative to painkillers or antiviral medications without the risk of side effects. All essential oils have different properties, and everyone has different preferred oils. Some reduce pain, some soothe the area, and others are more effective at actually eliminating the cold sore. 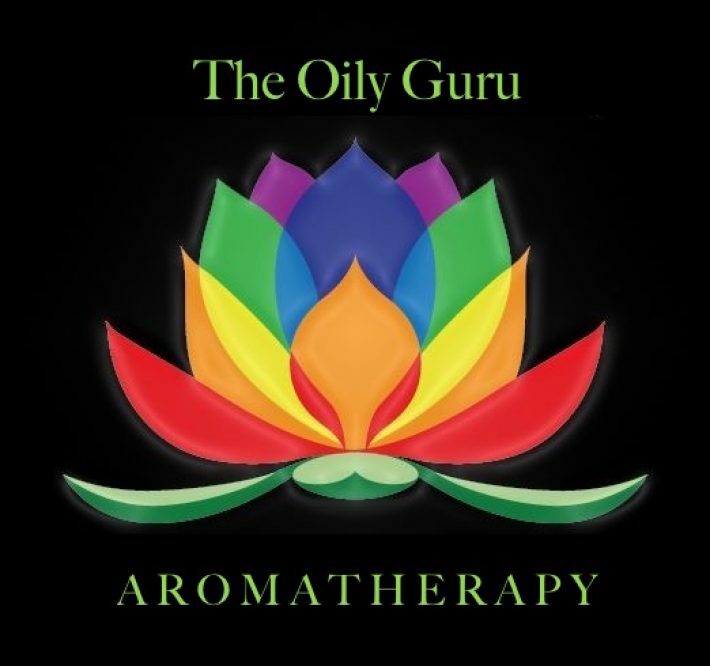 Many essential oils can be combined together to create a very powerful treatment. It’s important to note that not everyone reacts the same to essential oils and one may work better than another. Many essential oil kits will contain the majority of the oils listed below. Tea tree oil is one of the most popular and effective essential oils for treating cold sores. It can reduce the lifespan of a cold sore to only one or two days, when normally cold sores can take weeks to heal. The oil has antibacterial and anti-fungal properties, and it quickly dries out the cold sore so it becomes smaller and much less noticeable. Tea tree oil works the most effectively when applied during the first stages of the cold sore before the sore has dried out. To apply it directly to your cold sore, place one or two drops of the oil on a cotton swab or a damp cotton ball. Dab it gently on the cold sore and repeat until it’s cleared up. To prevent the virus from spreading, make sure you dispose of the cotton immediately, and avoid touching it to another part of your mouth or skin. The oil can be applied undiluted at full strength, but if you have sensitive skin or if the undiluted oil feels too strong, you can create a mixture of one part oil and one part water. You can also make a tea tree oil lotion to apply to the cold sore by mixing three drops of tea tree oil and one teaspoon of apple cider vinegar. Avoid using this lotion, though, if the skin on or around the cold sore is broken. If you’re concerned about the tea tree oil drying out your skin, you can create a mixture of tea tree oil and coconut oil and apply it to the cold sore with a cotton swab or cotton ball. You can also keep your lips moisturized by frequently applying lip balm. Melissa oil, which is also called lemon balm, comes from the mint family. This essential oil is one of the most popular treatments for cold sores, and it is especially effective when you apply it as soon as the cold sore starts to develop. If you apply Melissa immediately when you feel the first tingle of a cold sore forming, it could prevent the cold sore from developing at all. If you experience cold sore outbreaks often, Melissa can reduce the frequency of the flare-ups. Some people even report that their cold sore outbreaks ended completely after they used Melissa. To treat a cold sore with Melissa essential oil, dilute two or three drops of the oil with water and apply it directly to the cold sore. You can also add one or two drops of the oil to an herbal tea. If you drink two or three cups a day for at least a week, it can prevent cold sores from developing in the future. Bergamot essential oil is extracted from the Seville orange tree. It has antibacterial and antibiotic properties, so it can fight the virus that causes cold sores. St. John’s wort, a powerful antiviral herb, is a great carrier for bergamot. You can mix four drops of bergamot essential oil with about 30 milliliters of St. John’s wort and apply the mixture to a cold sore with a cotton swab. If you use this oil as soon as you notice the cold sore developing, it can prevent the sore from worsening. If you plan to use bergamot on your cold sore, make sure you use furocoumarin-free bergamot, which is also called bergamot FCF. Bergamot is also found in Earl Grey tea, so if you don’t want to apply essential oils directly to a cold sore, you can try drinking a couple cups of Earl Grey every day. Applying an Earl Grey tea bag to the cold sore could have similar effects to using the essential oil. Lavender oil is a great treatment for a variety of skin issues, including cuts, bruises, and irritation. It relieves itching, stinging, and other types of pain, so it’s a helpful treatment for cold sores that feel very irritated or painful. Just one drop applied directly to a cold sore can almost completely eliminate any pain or irritation. You can make several different essential oil blends with lavender and other oils. For example, you can make a soothing and moisturizing lotion with four drops of lavender, three drops of tea tree oil, three drops of bergamot, and five teaspoons of calendula cream. Lavender oil is also very moisturizing, so if you treat a cold sore with other essential oils that will dry out the surrounding skin, like tea tree oil, you can use lavender to add moisture. Myrrh essential oil comes from dried resin extracted from the Commiphora myrrha tree. It was used medicinally in ancient cultures to heal wounds, sores, and infections. To use myrrh essential oil on a cold sore, put a few drops on a cotton swab or a cotton ball and apply it directly to the area. You can repeat this up to 10 times a day for a few days to reduce the appearance of the cold sore. Myrrh is also a popular essential oil for dental cleaning. If you have a cold sore on the inside of your mouth, you can create a myrrh mouthwash to treat it. Combine a few drops of myrrh with 1.5 cups of water and one teaspoon of pink Himalayan sea salt. You can also add other essential oils, like clove, peppermint, or spearmint. Geranium essential oil has astringent, antimicrobial, and anti-inflammatory properties, so it’s a good option for keeping a cold sore clean and reducing irritation. It can also quickly reduce the size of a cold sore and shorten its lifespan to only a few days. You can treat a cold sore with geranium by soaking a cotton ball in water and adding one or two drops of the essential oil. Dab the cotton ball on the cold sore several times a day until the cold sore fades away. If you have sensitive skin, you can dilute the essential oil with some water. You can also mix geranium with other oils to create an effective essential oil blend. For example, you can combine eight drops of geranium with eight drops of tea tree oil, three drops of lemon oil, and five drops of lavender oil. Hyssop essential oil comes from the Hyssop plant, a perennial plant from the Mediterranean region. Because of its antiviral properties, it has a long history of being used to treat infections and other ailments. It can help reduce the lifespan of a cold sore and prevent reoccurrence, and it can soothe the skin to reduce pain or irritation. The most effective way to treat a cold sore with Hyssop is to apply the essential oil directly to the cold sore. Hyssop is gentler and milder than many other essential oils, so it’s a great option for people with sensitive skin. You can also add a few drops of Hyssop to herbal tea to help eliminate a cold sore. Eucalyptus essential oil is anti-inflammatory and antibacterial, and it can act as a disinfectant. If your cold sore feels particularly painful or inflamed, this oil can reduce the uncomfortable feeling. It also speeds up the healing process and can make a cold sore noticeably smaller within a few days. You can apply eucalyptus essential oil to a cold sore every hour to help it heal. You can also blend it with an equal amount of olive oil before applying it to the cold sore, which will keep your lips moisturized. Lemon essential oil has similar effects to Melissa essential oil. It dries out the cold sore and reduces the chance of reoccurrence. Although most people find that lemon essential oil isn’t quite as effective as Melissa, it’s much less pricey, so it’s easier to use more of the oil to treat a cold sore. Add a small amount of lemon essential oil to a cotton ball or cotton swab and apply it directly to the cold sore. You can also add some lemon oil to coconut oil and use the mixture as a lip balm, which will keep the skin around the cold sore healthy and moisturized. Clove essential oil is an analgesic, or a pain reliever, that has a long history of being used for cuts, wounds, and sores. It can reduce the aching, tingling, or uncomfortable feelings that often occur around a cold sore. Clove oil is also used frequently in dental care, and it contains eugenol, a compound often used in dentistry. It’s safe to use around your mouth, and it can keep the cold sore and the surrounding area clean to promote faster healing. Clove essential oil is very strong, so you should always dilute it with water before applying it to a cold sore. If you have sensitive skin, you should avoid using clove oil too frequently or it could cause further irritation. Get started today CLICK HERE!